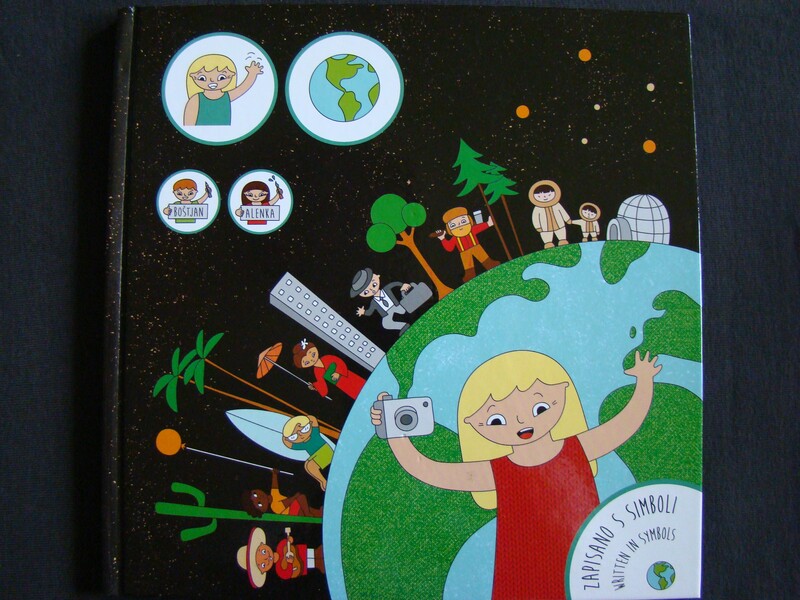 Say Hello to the World Picture Book is based on the meaning of the project. 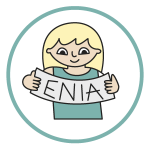 The main character of the book is Enia (SlovENIA), a little girl with a big heart, who takes us on a journey that begins with herself and then through her friends, extends to the whole world. 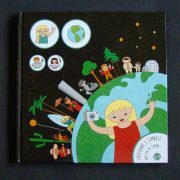 This Picture Book is “written” in symbols and it is suitable for children from 9 months old. 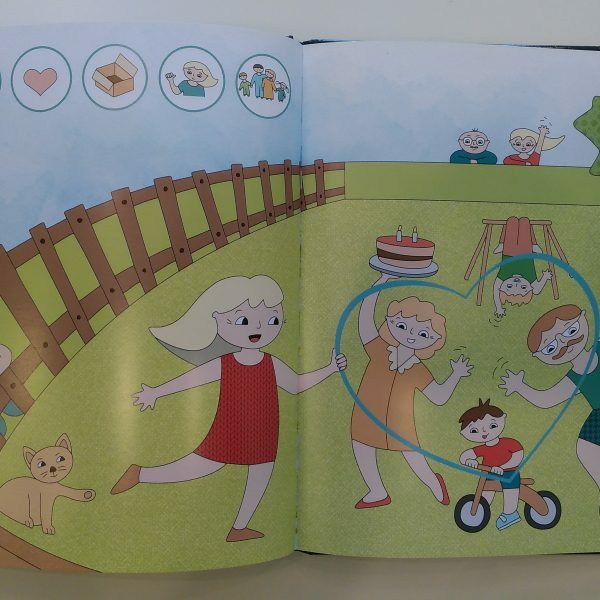 Instead of sentences, we inserted symbols (pictograms), which guide the reader to a particular objective and at the same time they leave the freedom of choice of the words. 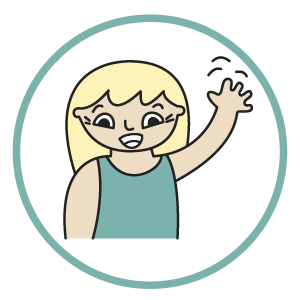 In this way, the reader can be anyone, regardless of one’s ability to read or the language of communication. 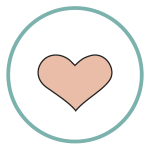 She teaches the children to be tolerant and to accept diversity, and at the same time, to search for values and respect for themselves and others. 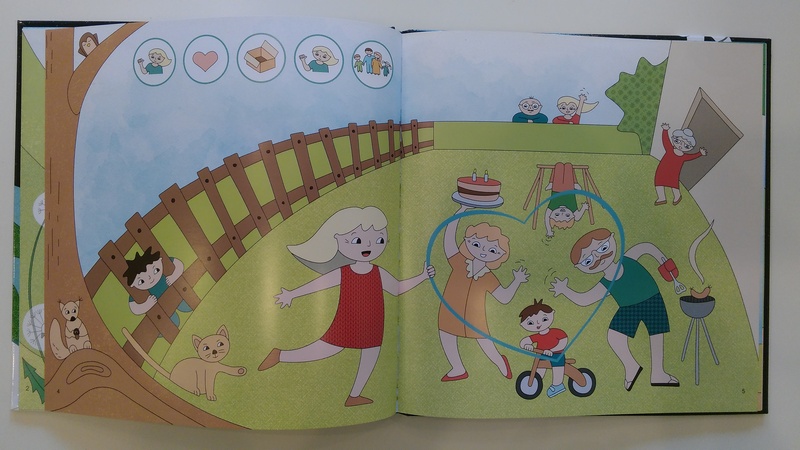 The words in the Picture Book have been replaced with pictograms (symbols), which guide the reader to a particular objective and at the same time, they leave the freedom in the choice of words. 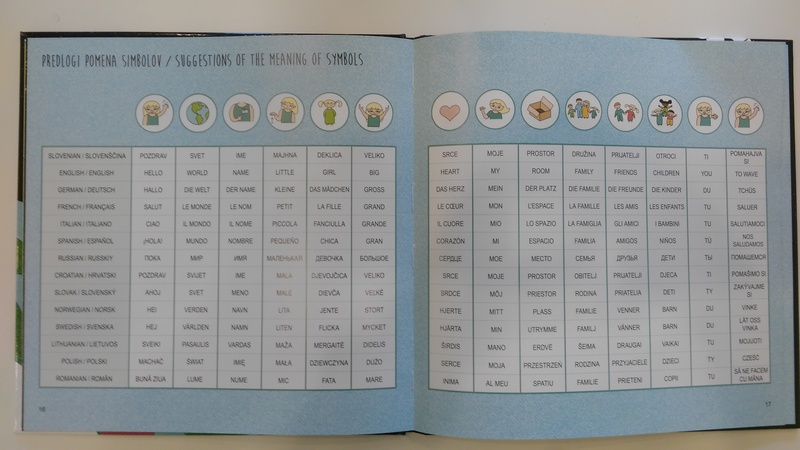 The reader can be anyone, regardless of one’s ability to read or the language of communication. 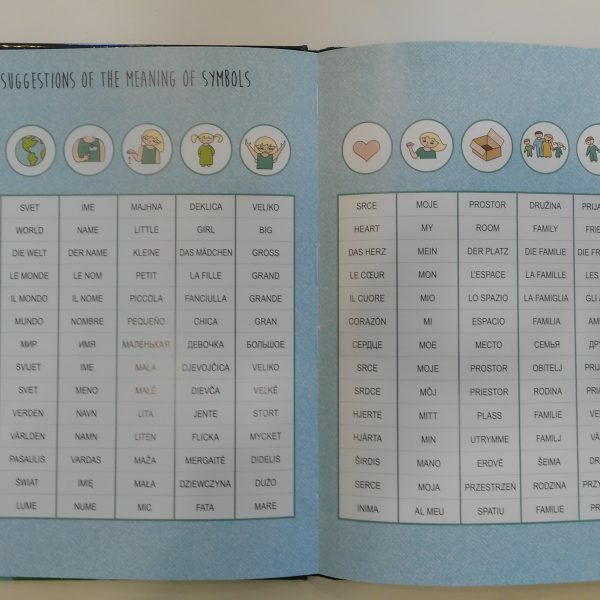 At the end of the picture book we added a picture-glossary of symbols in fourteen world languages (Slovenian, English, German, French, Italian, Spanish, Russian, Croatian, Slovak, Norwegian, Swedish, Lithuanian, Polish, Romanian), which should be used merely as a guide, not as a rule. 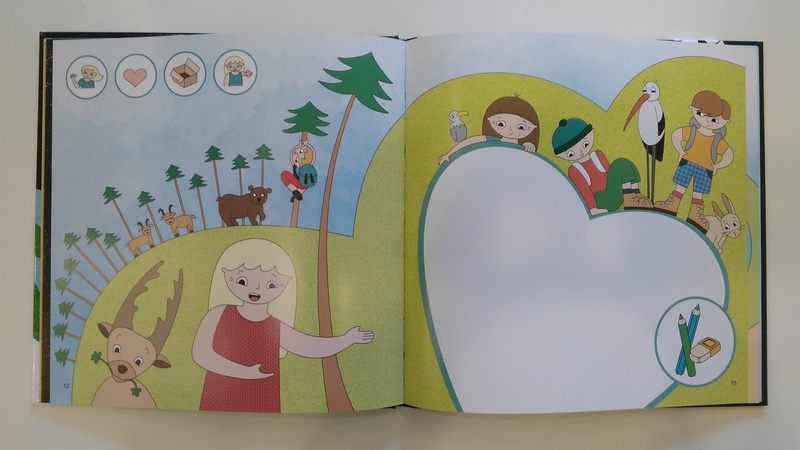 Each illustration has been carefully created in order to open the imagination between a child and an adult, or between children themselves, to forge diverse discussions about other cultures. 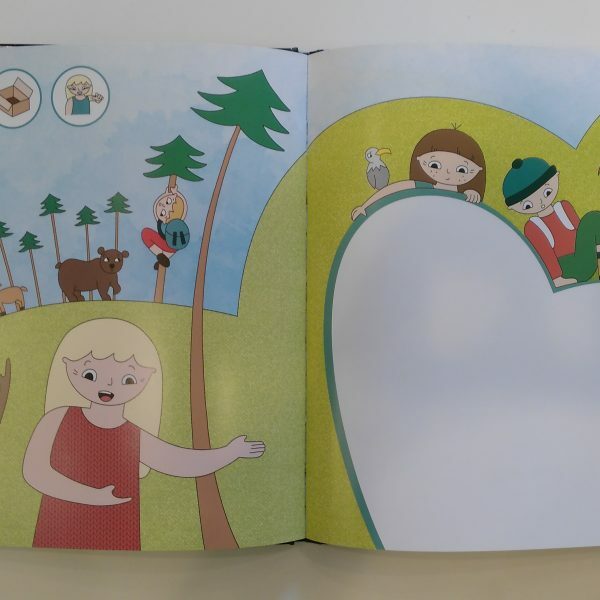 The illustrations encourage children to think about themselves and about everything that surrounds them, opening their eyes and broadening their horizons. The Picture Book is “written” to address the broad range of Kindergarteners mental, emotional and educational capacities. 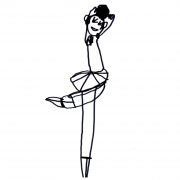 Copyright © 2019 FINI zavod Radeče, work for young people. Powered by WordPress. Theme: Spacious by ThemeGrill.